Dorothy L. Sayers crops up on this blog regularly so readers will not be surprised to learn that Tory Historian is reading another book about the great lady, detective story writer, theologian, literary critic, conservative thinker and all-round good thing (no, that is not a reference to her physical shape). This one is by David Coomes, media executive (not sure how else one can describe him) and erstwhile head of BBC Religious Department, entitled Dorothy L. Sayers - A Careless Rage for Life. 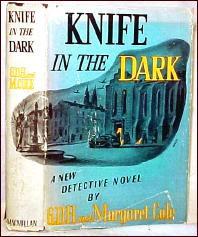 The book has more about Sayers as the writer of religious texts and plays but there is a chapter or two about the detective stories and more than that about the rest of her life. Mr Coomes seems to have been entranced by her personality while reading her huge correspondence, which is being published under Barbara Reynolds's editorship. It is the comment of someone who obsessively guarded her private life. Most people would say:: What we make is because of what we are ... because of we have experienced, endured, wept and laughed over, been defeated by, despaired of, embraced, rejected, come through. That may be true but TH is compelled to agree with Miss Sayers - whatever went into the creation of what one makes, that is what matters most. Furthermore, would it not be wonderful if writers, artists and actors would remember that dictum and talk less about themselves in endless interviews and self-analysis. What we make is more important than what we are. Let that be every writer's motto. Let's face it, from a conservative point of view, anything that concerns Jane Austen is important and she died on July 18, 1817. Some other important things happened on this day, as well. For example, in 1872 the Ballot Act received its Royal Assent, thus introducing the concept of secret ballot into British politics. Sadly, one must admit, that concept is being eroded at the moment through the indiscriminate and badly supervised use of the postal ballot. In 1920, the Cenotaph, Sir Edward Lutyens's great memorial to the dead of World War I that has since become a memorial to all those who died in battle, was unveiled. And in 2009 and last World War I veteran, Henry Allingham died. "The Night of the Long Knives"
No, not Hitler's but Macmillan's whose fiftieth anniversary we remembered yesterday. A couple of days ago the Conservative History Group was addressed by the man who knows absolutely everything about that day, the historian D. R. Thorpe, author of a trilogy or prime ministerial biographies, Eden, Macmillan and Douglas-Home as well as that of Selwyn Lloyd, the Chancellor of the Exchequer who was, in some ways, the cause of it all. 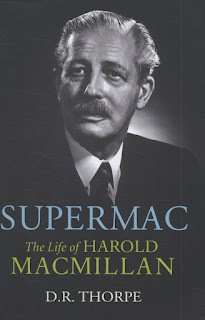 As an amusing incidental point, it needs to be mentioned that Supermac won the Orwell Prize last year. What would George Orwell have made of that? Richard Thorpe's knowledge of the events of that evening 50 years ago is such that he thinks it would be his special subject on Mastermind, should such an event occur in his life. Most of his knowledge is there in the books he has written but one or two interesting points can be made on the basis of his talk. The roots of that night, he said, lay in the William Wallace case of 1931, the first in legal history when a conviction for murder was overturned on appeal. 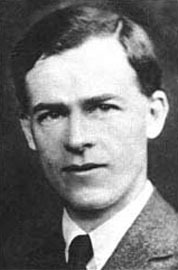 It was largely because of that case that Selwyn Lloyd, then a young lawyer, became a fervent abolitionist and, subsequently, joined Sidney Silverman's campaign against capital punishment. It also meant that under Macmillan he could take any job but that of Home Secretary, as he explained to the Prime Minister. 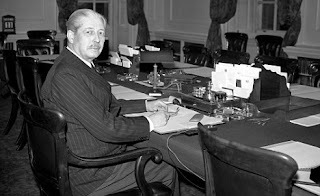 So, when Macmillan decided, probably erroneously, in 1962 in the wake of disastrous by-election results, to get rid of his "sound money" Chancellor of the Exchequer, Selwyn Lloyd and put in an expansionist one, Reginald Maudling, he had a problem on his hands. 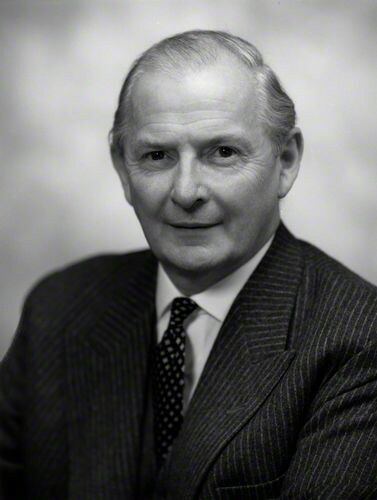 Selwyn Lloyd had been Foreign Secretary under Eden and, briefly, under Macmillan so the Home Office would have been the obvious place to move him to but that could not be done. What to do? Macmillan's answer was to offer the man a peerage (though not the Lord Chancellorship as he did not think Selwyn Lloyd was a notable enough lawyer, an ironic idea given subsequent developments) and the chairmanship of Martin's Bank. Whether the latter was in the Prime Minister's gift is unclear and it was never tested as both offers were refused and Selwyn Lloyd retired to the back benches, to the applause of all. 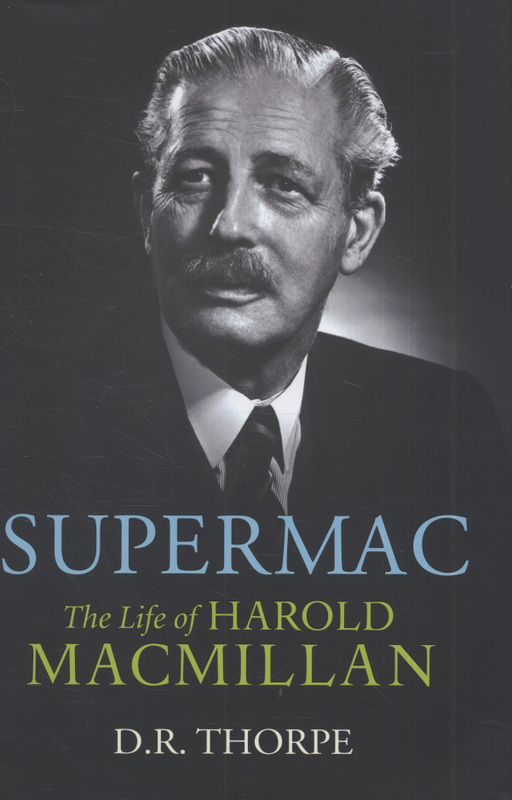 However, Macmillan found that he had to bring the reshuffle forward by some months because of RAB Butler's deliberate indiscretion to a friendly journalist and also he extended it in order not to make it seem like a simple sacking of the Chancellor. Seven Cabinet Ministers were sacked and thirty-nine posts were affected. All in all fifty-two people were moved around and a great deal of bitterness trailed the Prime Minister thereafter. And RAB Butler lost the slender chance he might have had of succeeding as leader of the party. But then, in my opinion, he did not have what it takes to be a Prime Minister. One final thought: it is extraordinary how potent satire is. My own image of Selwyn Lloyd has always been the bumbling fool portrayed by John Wells. It was salutary to find out that he was a man of principle and strong convictions as well as one of the better Chancellors this country has ever had. 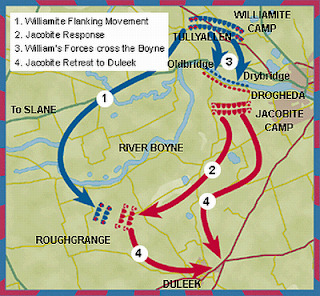 One of the most important British and Irish battles fought in 1690 with William III's forces triumphing over those of James II, thus putting the final touch to the Protestant or, as it is mostly known, Glorious Revolution. 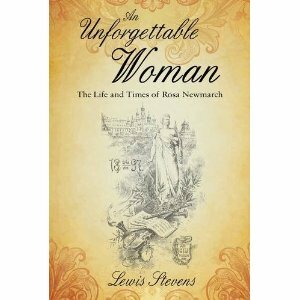 Tory Historian has been reading Lewis Stevens's biography of Rosa Newmarch, An Unforgettable Woman. Mrs Newmarch was a remarkable woman and is not as well known as she ought to be, though there are signs that interest in her career is growing. She was at the heart of English cultural, especially musical life of the late nineteenth and early twentieth century, wrote several important books and hundreds of articles as well as translating books, songs and opera librettos from various languages, particularly Russian and many analytical programme notes for the Queen's Hall Prom concerts and a few others. She was friendly with Sir Henry Wood, Sir Edward Elgar and Sir Granville Bantock and many others, too numerous to list as they say. It is hard to tell what Rosa Newmarch's greatest achievement was but TH would place high her promotion of Russian music and Russian culture in general, as well as the introduction (with Wood and Bantock) of the music of Sibelius and of Janáček. Enough there for several life-times. What caught TH's attention among all these matters is a short paragraph on what might be called the vagaries of publishing. Herbert Jenkins was immediately successful with several popular works including his own witty and amusing series of Bindle novels, which sold well and established him financially, so that he could embark on more ambitious literary, if less remunerative, publications. Although Herbert Jenkins died in 1923, the firm thrived as a small publishing house until 1964 when it combined with another publisher [Barrie & Rockliffe], becoming Barrie and Jenkins. That was subsequently taken over by Hutchinson, which in turn merged with Century and later Random House. As it happens, Bodley Head was also eventually acquired by Random House. That paragraph sums up the history of British publishing in the second half of the twentieth century - a catastrophe many of us watched as it unfolded. Hardly any small or medium sized publisher retained its independence and the pretence that the various component parts of the conglomerates retained their own imprints was believed only by the very gullible. Print on demand, e-books, kindle, advertising on the internet and through social media have all made the small publisher's life considerably easier. Lewis Stevens's own book is published by Troubadour Publishing Ltd under its Matador imprint or, in other words, it was self-published because, presumably, none of the big boys and girls had heard of Rosa Newmarch and were no interested in her. A professional woman who has achieved a great deal but was not on the left? Pshaw! As TH is a great book-lover, one thing remains troublesome. Will these books survive if only as many copies are published as are required immediately or if they are published only on the internet? One hopes so, of course, but it is a worrying thought. At the same time, it is a cheering thought: small publishers might become bigger but not too big. In any case there is now a far greater variety of publishers and publications than there were when the big conglomerates were conquering all. For all those who are in or near London this Thursday evening: D. R. Thorpe will be speaking about "The Night of the Long Knives", Macmillan's infamous Cabinet reshuffle 50 years ago. Of course, he did not allow gossip on the subject to swirl round Westminster for months beforehand but struck suddenly. Here are the details. Hope to see some of you there.